1 So the king and Haman came to feast with Queen Esther. 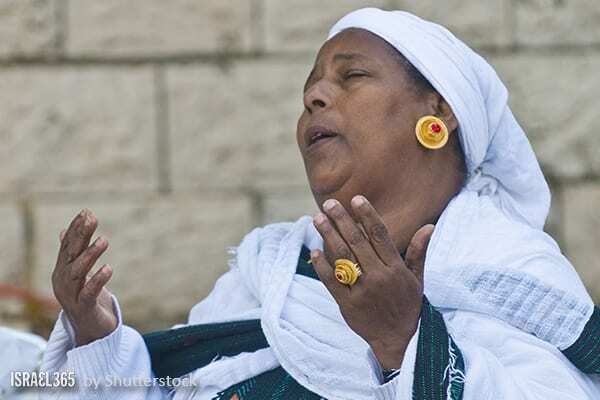 A Jewish women turns to God in prayer. Why does Esther deem it necessary to invite Haman to her banquet with Ahasuerus? As long as the Jewish people knew that they had Esther in the palace, they were counting on her to reverse Haman’s evil decree. Yet Esther wanted the people themselves to fully repent. Inviting Haman made it appear that she was abandoning her people and aligning with the wicked Haman. At that point, the terrified nation called out to Hashem with a new intensity that merited salvation. Throughout the ages, true redemption arrives when we realize that we have no one to rely on aside from God above.